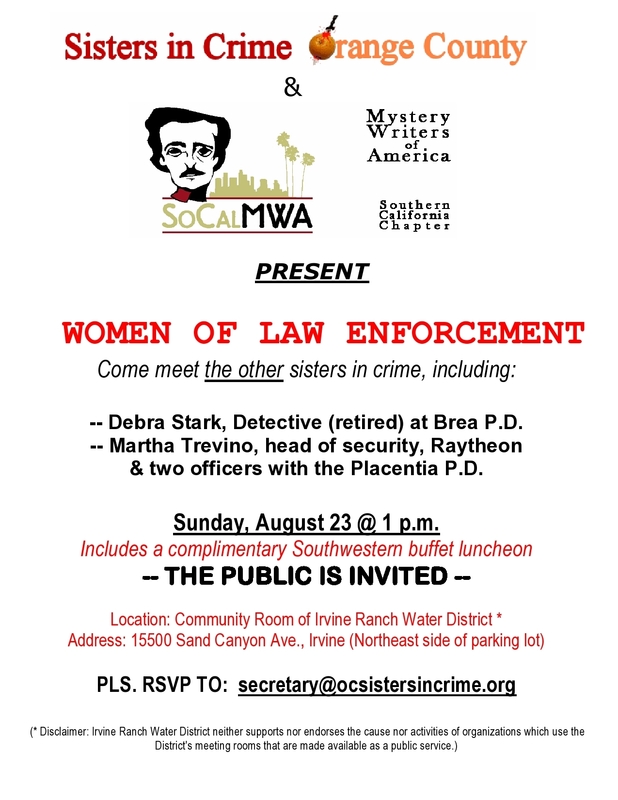 The Sisters in Crime Orange County and the Southern California Chapter of Mystery Writers of America will be presenting “Women of Law Enforcement” on Sunday, August 23 at 1PM. This entry was posted in Events, Female Gumshoes and tagged Female Gumshoe, Police. Bookmark the permalink.